Joe’s Post #49 — As much as I love my CHEWASS system, I wanted to pass along something I read in Writer’s Digest. 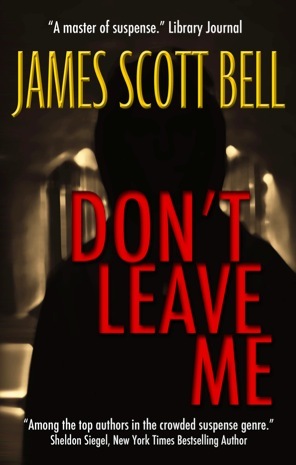 It’s from one of my fav writer guru’s, James Scott Bell. He has a much bigger brain than me. The whole article is here. The 5 Biggest Fiction Writing Mistakes (& How to Fix Them). It’s awesome. But let me look at his 5 points for a moment. 1) Happy People in Happy Land – One of my earliest realizations. Was Harry Potter happy in Potterland? Nope. Was Katniss? Nuh-uh. Even Frodo, living in an idyllic little hobbit town wanted more, wanted adventure. So, all my stories – all my characters- always begin with something bad happening. Something that will change their world. 2) A World Without Fear – Another great suggestion. He talks about the fear of death, but I think fears drive us as much as hope sometimes. I love confronting my characters with their fears, smashing their hopes, threatening their lives or those that they hold dear. 3) Marshmallow Dialogue – So easy to spot in other people’s writing. So hard to spot in your own. Best advice, read it aloud. It’s embarrassing sometimes, but very useful. 5) Lost Love – Oh this is a good one. He talks about yearning. “We yearn because we feel a lack, a need, a hole in our souls. So yearning is about connection.” Brilliant. So, thought I as I drank my forth glass of wine, what do my characters yearn for? Not their ‘want’, their goal, their driving force. What, deep down, do they need in life? That made me think a lot more about my characters and the more I thought on it, the better my characters became. Try it out on your characters and see what happens. I guess the point of this blog was that even during the rewrite stage, even after writing one or two novels, I can still learn something. I can still do better. I can still add something more to my writing to make it sing. This entry was posted in Characters, Conflict, Editing, Storytelling and tagged Frodo, Harry Potter, Hobbits, James Scott Bell, Katniss by Joe Cummings. Bookmark the permalink. Keep doing this, you’re making me think. Thankl you! Thanks for sharing! Now I have to read the article. Thanks for reading it, Jeyna.